The three apples that changed the world: the one Eve ate, the one that fell on Newton’s head and the one Steve Jobs created. Not one that we can take credit for, more’s the pity, but nonetheless, one that is too good not to be shared again and again. In recent days, countless commentators have likened him to Henry Ford, Thomas Edison, and even Leonardo da Vinci. The epitaphs have been extraordinary, but here’s the thing: not one has been overstated, for this was a man for whom ‘extraordinary’ had long been the default setting. Things remarkable for most, just routine for him. Our admiration for the creative Californian – who died in Palo Alto, earlier this week – is beyond description. It exceeds admiration. It’s awe. The iPod, amongst his greatest achievements, has a feature known as Genius. The word, so often overused in modern parlance, doesn’t begin to do Steve Jobs justice. Here in Saunderstown – in our studio, in our home – Steve Jobs is everywhere. His fingerprints are all over our lives. That it’s not just us has been highlighted during recent days, his passing mourned all over a planet that he has connected like few others to come before him. 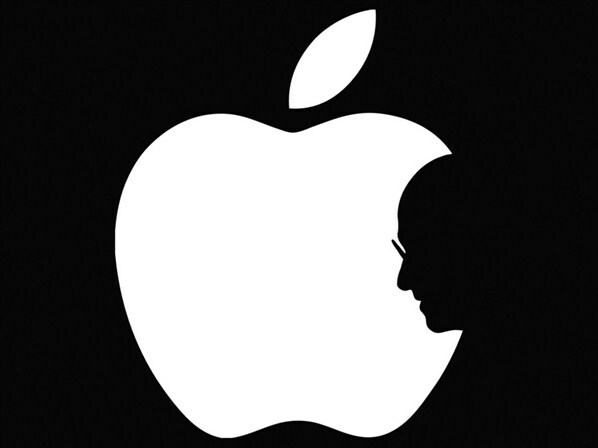 In all places from Brisbane to Bangkok, Laos to London and Shanghai to Saunderstown, Steve Jobs left his mark. The iPhone is sold in 105 countries. In the first 24 hours following his death, internet users in China alone posted 35 million tributes. Computing, movies, music and more, lots of fingers, lots of pies. The genius of our generation, Steve Jobs changed lives everywhere. Steve Jobs changed the World. That is something that, here in Saunderstown, consumes our dreams, something to aim for, something to aspire to. Steve Jobs set the bar high. Inventor, innovator, visionary, creator et al. To us, he is inspiration. Connection is our thing, that much is clear, and no-one – not in our lifetimes, at least – has achieved more in this field. Steve Jobs was an unreasonable man, refusing to accept existing technology, determined to adapt it to suit his own vision. He succeeded. No small feat. It is some vision, too, the impact he made on civilisation seismic. It is impossible to imagine a world untouched by Steve Jobs. That is his legacy, that had he not lived, the world today would be a different place. Looking back, of course, in the first years of the 1970s, it would have been impossible to imagine Steve Jobs achieving anything remarkable. Unable to motivate himself as a High School student, he little appeared destined for greatness. That the school in question stands less than two miles from the business he steered to such heights, selling more than 200 million iPods, one billion iTunes songs, 26 million iPhones and more than 60 million computers since 1996, that Steve Wozniak, Apple’s co-founder, was a boyhood friend during those carefree days, demonstrates that life is nothing if not unpredictable, its paths not mapped out, nothing beyond a believer. It encapsulates a lot that we, here in Rhode Island, believe in, the things that underpin our own efforts. That the world moves in mysterious ways, that everything is linked intrinsically, that we are all connected. Here in Saunderstown, we’re saddened, of course, but we’re grateful that our lives have been enriched and enhanced thanks to the brilliance of a man who, although we never met, we feel a deep connection to. Thinking about our mantra Connecting people one OM at a time, we like to think that, had he known about us, Steve Jobs would have approved of our work and what we’re trying to do here. Reading some of his most memorable quotations in recent days has underlined to us that this was a man on our wavelength. That said, we’ll leave you with these, our favourites, words of wisdom from a late, great genius. “Creativity, it’s just connecting things. When you ask creative people how they did something, they feel a little guilty, because they didn’t really do it, they just saw something. I agree, Steve Jobs is everywhere. Wherever you are, there is a Steve’s fingerprint. And thank you by the George Bernard Shaw quote, I loved it. Let’s change the world. We are all conected.